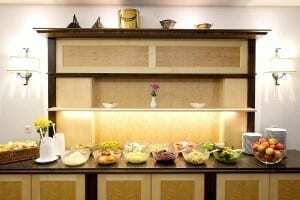 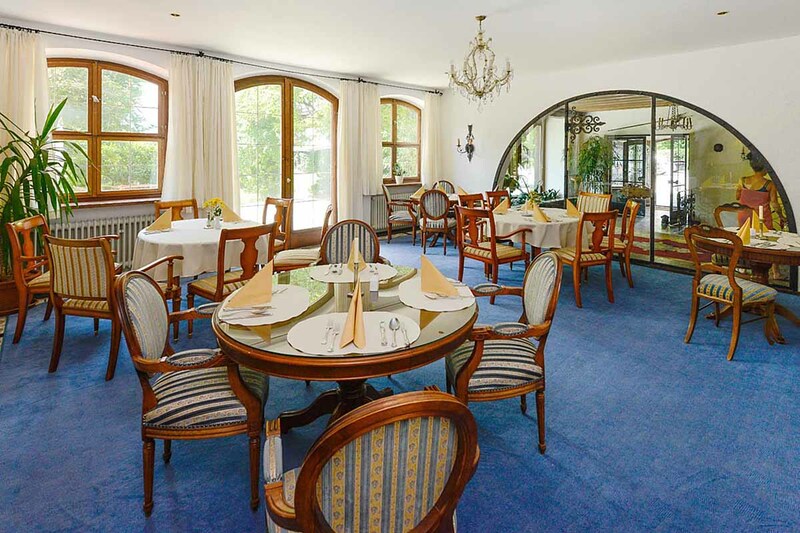 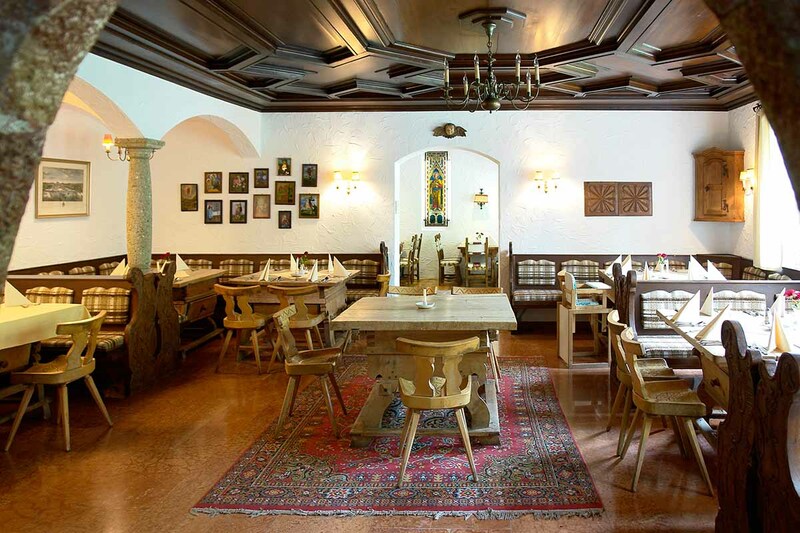 Our restaurant offers several rooms for every taste, the elegant “Biedermeier Room”, the “Bavarian Room” with its orginal antique Jogl-tables, where larger families or groups can have an unforgettable evening. 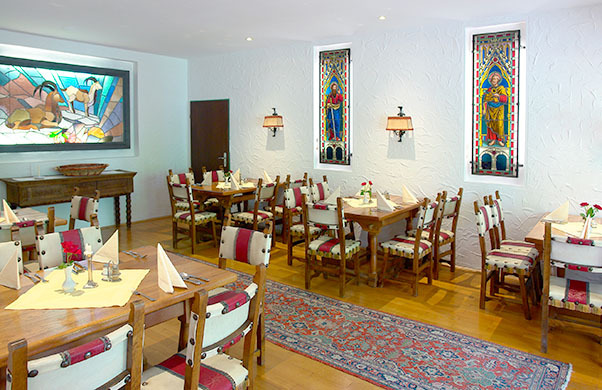 And last but not least our stylish “Spanish room” with stained glass windows and the spanish Madonna from the 17th century. 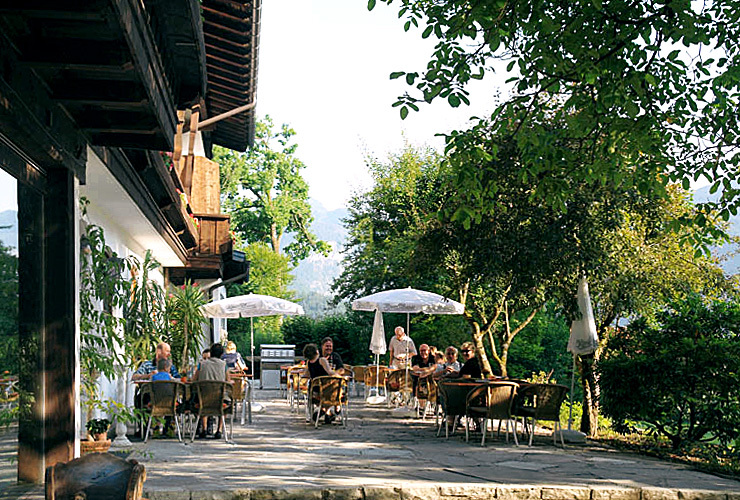 When the sun is shining, our restaurant-terrace is very popular, especially our barbecue-evenings with live music. 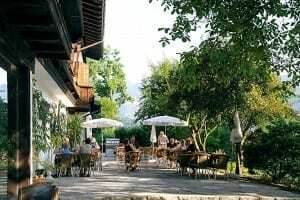 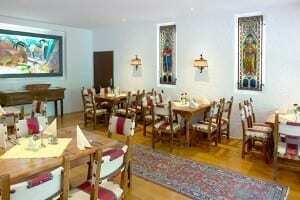 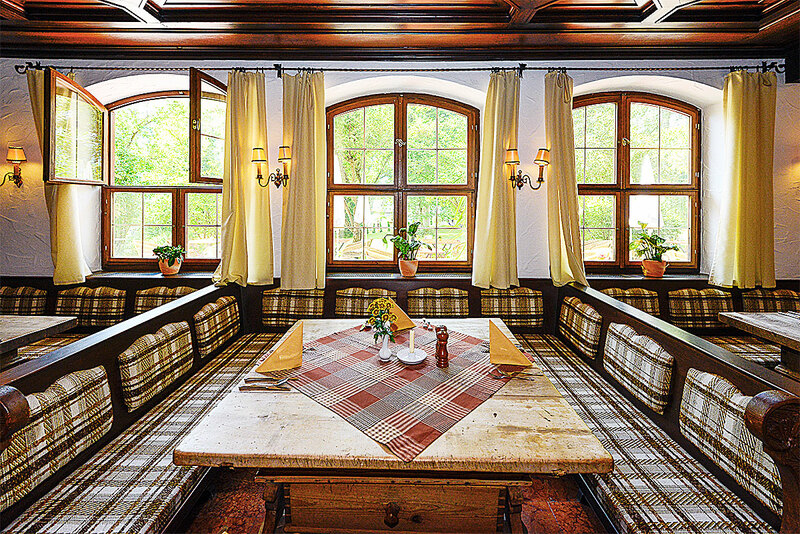 Enjoy the sociability of the Bavarian hospitality in our Restaurant and the sunset in the Berchtesgadener Mountains.